Strong. Biting from both the airiness and alcohol. Fairly close to a Duvel. Medium thickness. Strong. 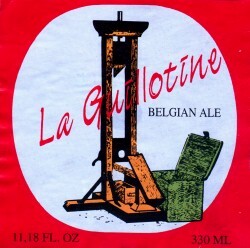 The Holmes San Diego Anyone have any comments, thoughts or suggestions about Huyghe Brewery La Guillotine?